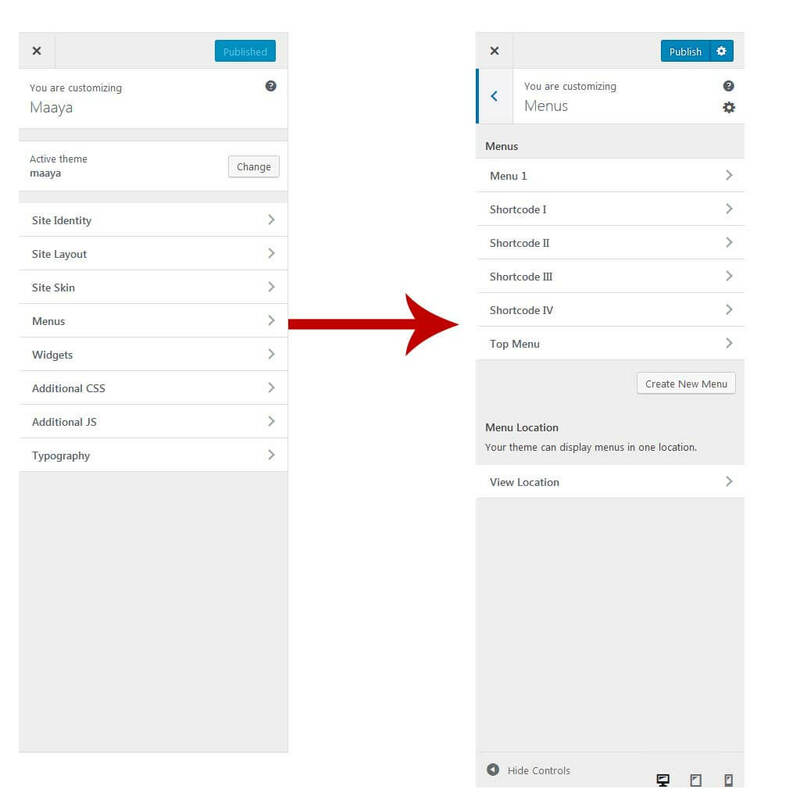 Maaya supports custom WordPress menus, with multiple levels of dropdown support for the main menu. There are 3 areas of the theme where you can assign a menu; the main menu, the Secondary Menu, and the Shortcode Menu. Each of these menu locations can have a custom menu assigned. Once a menu is created and assigned to the location, it will show up on the site. There are also several Theme Options to customize the menu.